If you want to build something in Akron, you may want to learn to make Greek pastry first. 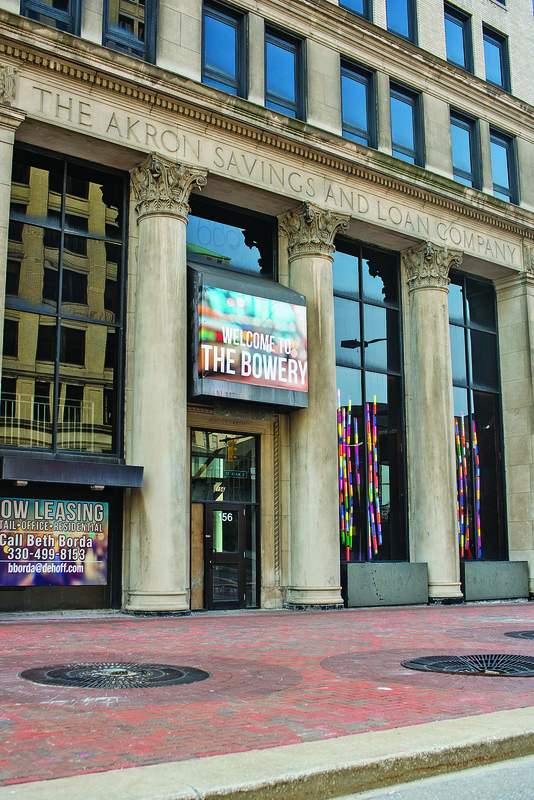 “It’s baklava financing — layer upon layer of financing,” said James Hardy, chief of staff for Akron Mayor Dan Horrigan and someone who works closely with city officials, developers, lenders and others involved in the Rubber City’s redevelopment. Hardy and others say that development in Akron can be, and often is, a challenge. As a second-tier city, Akron is behind the curve of bigger municipalities, like Cleveland. Larger cities have advanced further in developing their downtowns and attracting urban residents. One of the challenges that presents, Hardy and developers said, is that many of the projects underway or proposed for Akron are fairly novel to the city. Yes, there was a little development of high-end residential and mixed-use projects in Akron before the Great Recession, but it wasn’t enough to leave behind a critical mass of projects to provide comparable values for appraisals. That leaves developers trying hard to sell lenders on the future value of their improved buildings, but often without a similar project next door they can point to as evidence. On top of that, the office-to-residential conversions in vogue now in Akron and other cities are a new animal to lenders. “Office-to-residential conversations are still a fairly new type of development. 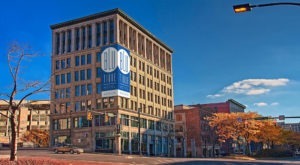 … So they must look at and understand a lot of moving parts in order to be able to underwrite loans for such projects,” said Jerry Fiume, founder and managing director of Akron’s SVN Summit Commercial Real Estate Group. That doesn’t mean a project won’t get funded, but it can mean it takes more time and work for developers. Troppe is known as both a creative developer and a creative financier. But it just might be the creative projects that — though great for the city — are the most difficult to fund, developers say. 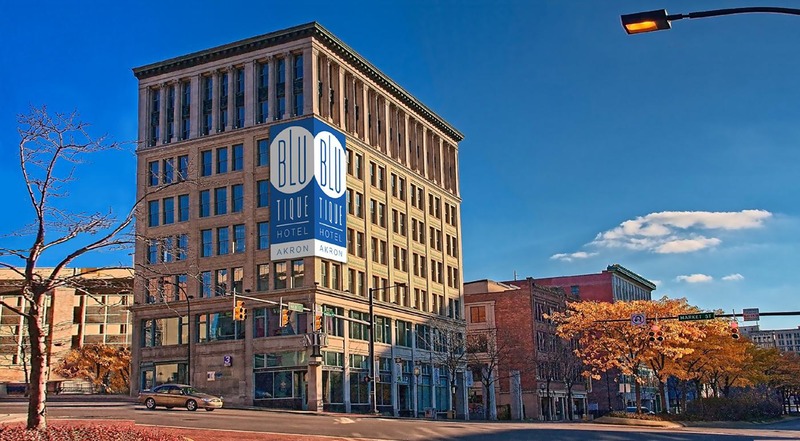 “If there’s a struggle in Akron, it’s because we’re trying to push the boundaries of redevelopment,” said Joel Testa, who also has done numerous major developments downtown and has more in the works. He’s currently working on the $15 million conversion of the former City Center Hotel into affordable apartments, a $7.5 million renovation to his Canal Square lofts and a $5 million expansion of his Northside Marketplace and townhouse development. Testa said he generally has been able to find financing for his projects, but he still has trouble getting projects appraised with values that will give lenders the confidence to write a check. “There just are no comps if you’re trying to push the high end of the market … and it’s not the lenders at all. It’s the appraisers, over which the banks have no control,” he said. It’s holding up major projects, too. The Law Building, a 210,000-square-foot, 11-story office building on South Main Street across from the Akron Civic Theater, has plans to become mostly luxury apartments and high-end mixed-use space.Developer Tom Rybak said finding financing for the $26 million project has been a hurdle, though, and the last barrier to beginning construction. Nearby and next to the Civic, the long-awaited Bowery Project — central to the city’s vision of revitalizing perhaps one of the most important sections of downtown — has been wrangling with financing since it was unveiled in 2016. The plan is to develop six vacant buildings into about 100 apartments and 50,000 square feet of mixed-use and retail space. The about $40 million project involves some of the biggest names in local development, such as North Canton-based DeHoff Development and Fairlawn-based Welty Building Co. But even it has had trouble getting backing. Today, it’s working toward completing its financing package, but it’s been a good example of how local governments, developers and others have worked together to bake the baklava to which Hardy referred. It reportedly has received about $14 million in loans, some with help from the Summit County Development Financing Authority, a $1.85 million loan backed by the city, about $10 million in state and federal tax credits and about $800,000 in grants from the Summit County Land Bank and the city. Meanwhile, the ground keeps shifting on it and other urban developments, as federal authorities change how things like New Market Tax Credits can be used, said Chris Burnham, president of the Summit County Development Finance Authority. The feds now want those tax credits to go toward owner-occupied developments, but very few urban, mixed-use developments are in that category, he said. “That’s a big challenge for the second-tier cities. … Cities like Cleveland and Cincinnati have used it. Now the program has kind of moved away just when Akron needs it, Youngstown needs it and Canton needs it,” Burnham said. 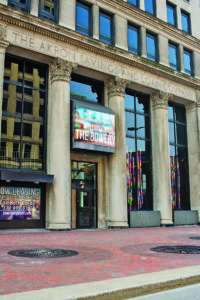 Nonetheless, he and local officials continue to look for — and find — ways to finance things like the Bowery Project. Hardy said the city is doing everything it can to get that particular project financed, because it’s in such an important part of downtown and officials think it’s the key to financing further development. “That project is the psychological next step we need, I think and we all believe, in terms of sparking the confidence for everything else that will come after it,” Hardy said. Testa said that the Bowery and other projects exemplify a newfound spirit on the part of local governments to plan and work with developers — something he said makes realities out of developments that would not otherwise be possible. “They bring a lot of benefit to the table. I would say between the city and the county and the Development Finance Authority, between those three entities, there are enough people who understand creative financing and how to make a deal work that they have the capacity to get things done,” Testa said. He and others agree that Akron appears to be on the cusp of becoming a place that lenders seek out rather than a place to which they must be lured. It’s a matter of critical mass, they said, as each development supports the others around it, as population builds and market forces begin to push aside government agencies who are all too willing to get out of the way. “As (banks) begin to see the value of urban lending, they can not only be part of the solution, but they can hedge their bets,” Troppe said, noting that he already sees some improvements in terms of financing projects. He said smaller local lenders, such as Cortland Bank and First Commonwealth Bank, have been willing lenders, but now more banks are beginning to gain experience and comfort with lending for urban renewal projects. On top of that, they’re beginning to see that urban tenants are paying some of the highest rents. “I’m certainly sensing that more and more lenders are familiar with urban environments that have come back, and that they’re actually realizing some of the highest rents in the region,” Troppe said. The hope is that more lending will lead to more loans underwritten. And more banks are attracted to Akron, especially smaller banks that are hungry for loans and prefer to lend locally. “We’re only planning to get more aggressive in Akron, not less,” said Jim Castrigano, vice president of commercial lending at $1.6 billion Civista Bank, headquartered in Sandusky but with offices in Akron and Mayfield Heights. Ultimately, it will be up to Akron’s developers to make the city a success. Castrigano, Burnham and others say that whether in Akron or any other city, lenders ultimately lend based on the merit of a project and the people behind it. “It all depends on the project. That includes not only things like the value of the building, market studies and comparable values, but the track record of the developer,” Fiume said. But at least, local developers say, it’s starting to become easier to get lenders to at least look at projects in Akron.